This is the informational picket that Bill Ritchie was referring to on conference day. The NYSNA staff are currently in the process of joining USW.They have set up some dates with management and USW reps If you can help out it would be appreciated. 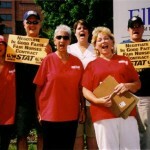 Wednesday, July 7, 2:00 – 4:30 p.m.
NYSNA R.N.’s at Ellis have been negotiating, with little success, since January for a new contract. 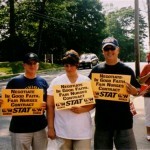 Management negotiators have refused consistently to include core staffing guidelines in the contract; have admitted in negotiations that their aim is to reduce operating expenses; are demanding extensive give-backs of well-established gains and have refused to move on a completely unrealistic salary proposal. 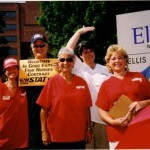 Ellis R.N.’s want safe care for their patients, acceptable working conditions and a decent contract. 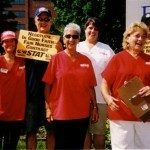 They are taking their case to the community and to their brothers and sisters in organized labor.